Welcome to Rome. Meet our representative at the airport & transfer to your hotel. 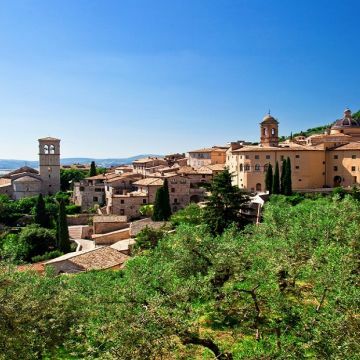 Depart by a deluxe coach, you will arrive in Assisi, where you can explore this tiny town, surrounded by walls built in the middle ages, at your own leisure. Make time to visit the basilica of St. Francis, where you will see masterpieces by Giotto and Ciambue. Board the bus for Siena, a medieval town surrounded by ancient walls that is known for the Palio, an annual summertime horse race around the shell shaped town square, Piazza del Campo. 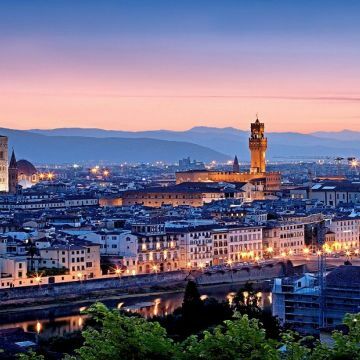 Next, you will continue on to Florence, where you will check in to your hotel in Florence before enjoying dinner. After breakfast, you will spend the day venturing around beautiful Florence, the “cradle of renaissance. You will be fascinated by its numerous monuments, churches, and buildings, as Santa Maria del Fiore. 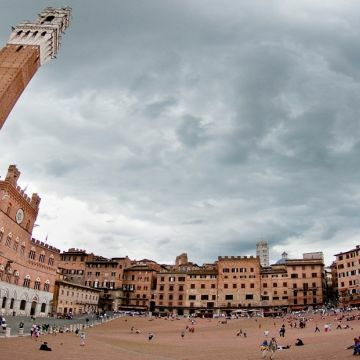 you will see Piazza della Signoria, Palazzo della Signoria and the basilica of Santa Croce. 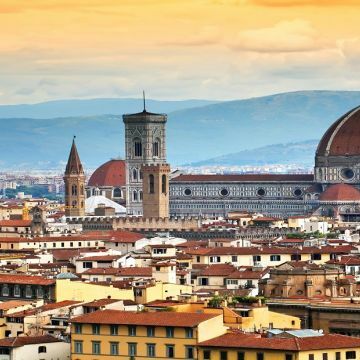 Spend the afternoon strolling the cobblestone streets of Florence on your own or take a short trip to Pisa (optional), one of the four main historical marine republics of Italy. There, you will tour the square of miracles, which houses the Duomo, the leaning tower, and the baptistery. Overnight stay in Florence. After breakfast in Florence, departure to Bologna. There, you will discover the elegant city centre with its “porticos”, it’s shopping streets and so on. From Piazza Malpighi you will walk to Piazza del Nettuno and Piazza Maggiore (Neptune square and Major square) in the heart of the city, then King Renzo’s Palace; Palazzo Podestà and the basilica of San Petronio, one of the biggest in the world. Bologna it’s a real gourmet’s heaven…don’t miss a tasty meal (at your own) leisure! In the afternoon, continue toward Padova, with Sant’Antonio Basilica: one of the most visited churches by pilgrims of the catholic world. 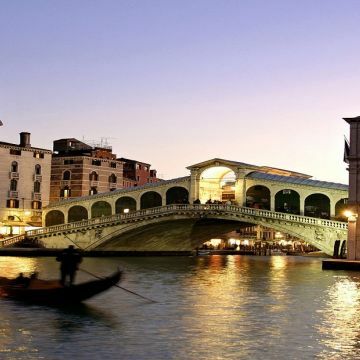 Later in the afternoon, arrival in Venice: the City of Love, one of the most romantic cities of the whole world and, undoubtedly the most beautiful city built by man! 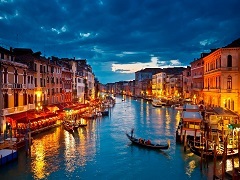 Check in at your hotel for dinner and overnight stay in Venice. After breakfast enjoy your private water-taxi transfer to Piazza San Marco, with “skip the line” tickets to visit the splendid St.Mark’s Basilica and, after this, check out the most iconic places of the “Floating City”: the Palazzo dei Dogi, symbol of Venice’s glorious past, the legendary “Bridge of Sighs”. Spend the afternoon roaming along Venice’s canals at your leisure and then return to the hotel for dinner and overnight stay in Venice. After breakfast, departure from Piazzale Roma heading to Tuscany, world-known for its landscapes, its churches and castles and its delicious wines. You will proceed to Val di Chiana with a stop in Montepulciano, a medieval town rich in history and art. Known for its “Nobile” wine, on purchase in local wine houses, Montepulciano also hosts an annual jazz and wine festival every July. Spend the afternoon discovering Montepulciano at your own pace, enjoying free wine tastings in many wine shops and free time for shopping. 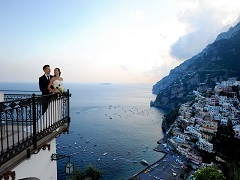 In the evening, you will arrive in Rome and transfer to Hotel. 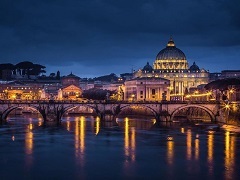 After breakfast, departure from the hotel for the included tour of the Vatican Museums, Sistine Chapel and St. Peters’s Basilica with our exclusive “Skip the Line” access! No stress to reach the area: upon arrival, your guide will lead you into the museums where you’ll visit one of the most important art collections of the world. 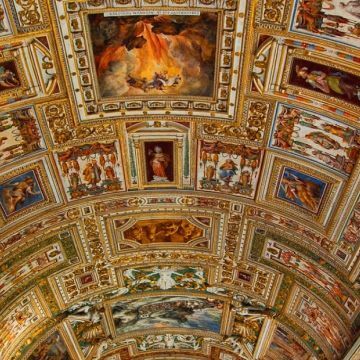 Walk along the beautiful Galleries of Tapestries and Geographical Maps before admiring Raphael’s Rooms and, then, the amazing Sistine Chapel. After this incredible masterpiece, you will be taken by a privileged door to St. Peters’s Basilica: the biggest church in the world! The tour ends on St.Peter’s Square: enjoy the rest of the day to explore the city at your own leisure. Overnight stay in Rome. After breakfast, you will be transferred to the airport for your flight to next destination.